January 16, 2017 – (Nisku, AB.) – Edmonton’s Castrol Raceway is pleased to release a sneak peak at this year’s 20th Anniversary Season Schedule. Rocky Mountain Nationals July 14 – 16, 2017. Canada’s Biggest and Best Drag Racing event returns on the NHRA Sanctioned Drag Strip. Hot August Night August 9, 2017. Absolute Annihilation Night June 17, 2017. 24 Street Legal events on the Drag Strip. Castrol Raceway works closely with the Edmonton Police Service Blue Line Racing Association, the RCMP Y.I.E.L.D. program, and numerous local High Schools not only to promote the sport, but to encourage young street racers to take their passion for speed to a safe environment. 4 Motorcycle Track Attack events on the Road Course. Riders have the opportunity to race on an open track with none of the hazards of the road, and all of the safety of a closed course. An environment where they can really push their limits. Updates to the schedule will be made leading up to the start of the season and posted on the Castrol Raceway website and social media platforms. 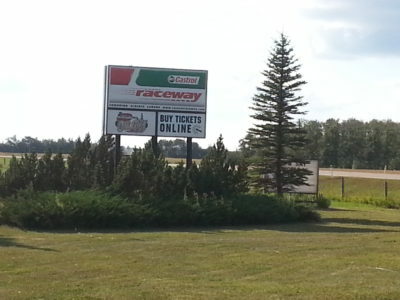 Castrol Raceway, Canada’s Premier Motorsports Complex, annually hosts over 100 races including the nationally recognized events: Rocky Mountain Nationals, Hot August Night, and Monster Truck Throwdown. In addition to the ¼ mile NHRA Sanctioned Drag Strip, 3/8 mile Clay Oval Track and 10 acre Pro Motocross Track, a brand new 2.7 km FIA sanctioned Paved Road Course opened at the Raceway in 2013.